Jyotirmoyee Sikdar was an Indian politician and sportsman. She was Member of Parliament representing the Krishnagar (Lok Sabha constituency) of West Bengal in the 14th Lok Sabha. She is affiliated to the Communist Party of India (Marxist). She contested the Krishnanagar seat in 2009 Lok Sabha election also, but could not make it to the Parliament for a second term. She was a middle distance runner and won the 800 metres at the 1995 Asian Athletics Championships. 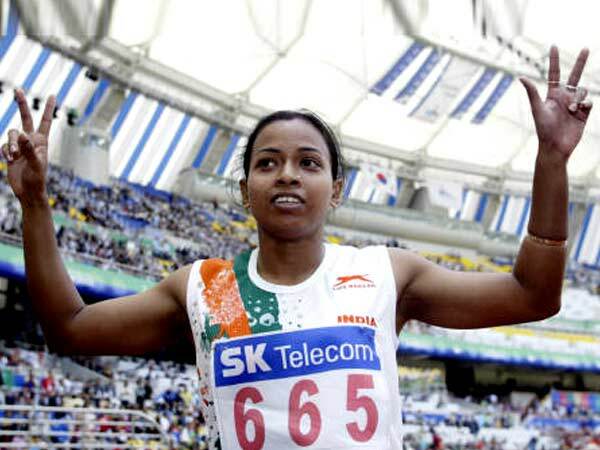 She went on to win the bronze medals in 800 m and 1500 m events in the 1998 Asian Athletics Championships and gold medals in both the events in the Asian Games in Bangkok in 1998. She is a recipient of the Rajiv Gandhi Khel Ratna award for the year 19981999. She was awarded the Padma Shri in 2003.